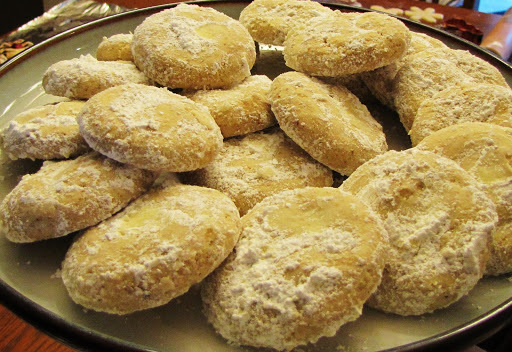 I make these delicious shortbread-y cookies every year at Christmas. 🙂 Today, my sister made them during our baking day. Combine butter, 1 cup powdered sugar and vanilla in bowl of electric mixer; beat on medium speed until well blended.